A Northeast-based charter school foundation has unveiled plans to combine modern construction, progressive curricula and advocacy for neighborhood history in converting a Tacony brownfield into a 19-acre academic campus. And members of the local civic group are all on board. 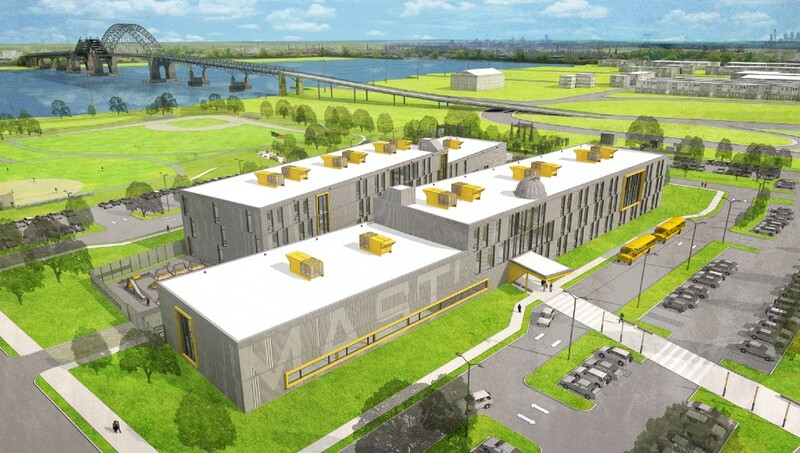 During a special meeting of the Tacony Civic Association on Feb. 25, members voted unanimously to approve plans for the new MaST Charter School on the site of the former Dodge Steel plant near the Tacony-Palmyra Bridge along the Delaware River. School officials hope that the proposed campus, which they are now calling MaST II, will ultimately serve 1,300 students in kindergarten through 12th grade. John Swoyer, CEO of the original MaST Charter in Somerton, detailed the plans to the civic association on behalf of the Isaac Newton Foundation, which owns the existing MaST property and is under agreement to buy the land for the new campus. City tax records identify the current owner of 6501 New State Road as a limited liability corporation based at the same Bensalem address as BSI Construction, a firm owned by prominent local developers Charles Calvanese Sr. and John Parsons. Although state environmental officials have identified hazardous materials in the ground, including lead and arsenic, as a result of its decades of industrial use, the contamination will be remediated as a condition of Isaac Newton’s purchase, according to the school CEO. 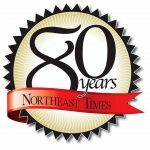 “The seller is responsible for delivering a clean site to Isaac Newton Foundation,” Swoyer told the local residents, who have also been involved recently in planning the long-term future of the local waterfront as part of the City Planning Commission’s Philadelphia2035 initiative. MaST/Newton officials were scheduled to appear before the city’s Zoning Board of Adjustment today in their effort to obtain approval for the proposed academic use of the property. The site’s residential/mixed-use (RMX-1) classification requires the board to issue a special exception, according to Stephen Pollock, a zoning attorney who represents Isaac Newton. In February 2015, the Newton Foundation won approval from the School Reform Commission to open a second campus. The SRC, which approved five new charters last year and another three last month, oversees the city’s charter schools under state law. The SRC granted its approval on condition that the new MaST would be placed south of Cottman Avenue. The charter will be subject to renewal after three years, although MaST officials plan to grow the new school over a seven-year period. Starting next fall, the MaST II will serve 400 students in kindergarten through third grade at a temporary site in the former St. William School building in Lawncrest. Meanwhile, construction will start on one of two new school buildings on the New State Road campus. In year two, a fourth grade will be added, followed by fifth grade in year three. Plans call for a second phase of construction that will include an “upper” school building. By year four, the new campus will add grades six and nine, followed by grades seven and 10 in the fifth year and grades eight and 11 in the sixth year. Year seven will bring the first high school graduating class, according to the projections. MaST will have no trouble filling those seats, judging by its current enrollment and application statistics. The Somerton campus serves about 1,300 students K to 12 and has a waiting list of about 7,000. Applicants who have siblings already enrolled benefit from priority acceptance. The rest of the open seats are filled through a lottery. According to Swoyer, the school serves students from 41 ZIP codes throughout the city, including about 500 from low-income households and 180 with special needs. The Somerton MaST, which opened in 1999, has been consistently ranked as the top performing charter school in the city and among the top public schools by various rating agencies. In its most recent rankings, GreatSchools.org placed the high school program fourth in the city behind three public magnet schools: Masterman, Central and Carver Engineering and Science. U.S. News and World Report ranked the school 22nd in Pennsylvania and fourth in the city behind Masterman, Central and Art Academy at Palumbo. Last year, MaST boasted a 100-percent high school graduation rate with 112 seniors. Among those, 94 percent pursued post-secondary education. Conceived initially with a Math, Science and Technology academic focus, the school is moving toward a “STREAM” model with science, technology, robotics, engineering, arts and math. In time, the new campus will also feature two baseball/softball fields, a soccer field and pedestrian access to the river via a paved trail. The Delaware River City Corporation’s North Delaware Greenway trail will traverse the property along the waterfront. Swoyer said the school will try to incorporate local history into its physical appearance and lessons. Tacony’s past is rich. Many folks know about the old Disston Saw Works and Disston Estate, but some would be surprised to learn that the William Penn statue atop City Hall was cast in Tacony on the very site that the MaST II may soon occupy. Lou Iatarola Jr., the longtime leader of the Tacony Business Association and a local historian, welcomed the idea of a school, noting that the old Dodge Steel site has long been vacant. “It would be an asset to the neighborhood,” he said.